CBD oil is becoming an increasingly popular natural remedy for many common health issues and ailments. It has even begun to grow in popularity in the pet market, offering similar health benefits for furry family members. This oil is made from cannabidiol, one of the 104 chemical compounds that are found in the Cannabis sativa plant. Unlike the cannabinoid THC (tetrahydrocannabinol), CBD does not produce psychoactive effects, which makes it desirable for a variety of health benefits with fewer side effects or without the “high” of smoking or otherwise consuming marijuana. Cannabidiol, or CBD, is extracted from the marijuana plant and then diluted with another oil, such as hemp seed or coconut oil (commonly referred to as a “carrier oil”). CBD is actually quite abundant in hemp (cannabis) plants, making up about 40% of the plant extracts. Remember, CBD is NOT the same thing as THC. The two compounds, in fact, are completely unrelated and when CBD oil is processed, the cannabidiol is completely separated from the THC when it is extracted from the plant. Therefore, you cannot get “high” by ingesting, smoking, or otherwise using CBD oils and other CBD products. This supplement is relatively new and research is ongoing, but the initial results are definitely promising. CBD has become a common supplement used for relaxation in humans and even many family dogs that are prone to anxiety. There are also various forms of CBD on the market, including oils that can be used for vaping or edibles, as well as ingestible oils, capsules, and other products. This is a safe and legal substance, although the exact benefits are still being researched extensively. Here’s what we know so far. As stated above, CBD oil is a popular choice among recent buyers looking for a supplement to aid in relaxation and sleep. This substance is also quite rich in antioxidant properties, although this has been mostly overlooked by the industry as of yet. There are a number of other potential benefits of this product that are being explored and researched, but so far the effects seem to be quite wide-reaching. Here are some of the applications being studied. Currently, CBD oils and related products are popularly sold as a calming agent for stress relief. Since the oil retains many of the calming properties of the original cannabis plant without the THC and the “high” effect that it is known to cause, it can offer a natural remedy for stress relief and anxiety for many people. Studies have shown promise in this treatment, with many of those involved experiencing lower levels of anxiety and social discomfort after using CBD. CBD has shown to have antidepressant properties in studies done on animals, although results from human studies are still being investigated. This plant oil has even been used in the treatment of anxiety and insomnia for children suffering from PTSD (post-traumatic stress disorder). It is likely that many of these effects are related to the way that CBD impacts the serotonin receptors in the brain, much like pharmaceutical drugs. Of course, pharmaceutical drugs that are available for anxiety and depression often have a laundry list of undesirable side effects. Patients regularly experience symptoms or side effects like insomnia, agitation, weight gain, sexual dysfunction, chronic headache, and drowsiness as a result of taking antipsychotic medications. Plus, benzodiazepines and other controlled substances used to treat depression and anxiety are often highly addictive and can lead to substance abuse in some cases. This is where CBD oil can have the upper hand, as studies show, by offering the same kind of brain response as many drugs without the side effects or potential risks because it is a plant-based oil product. CBD has analgesic properties, as well. In fact, clear back to 2900 BC, people have been using marijuana to treat a variety of aches and pains. Thanks to modern science, now there is an understanding of why it works and what makes it so appealing. The obvious appeal is similar to the drugs discussed above– prescription pain medication is often highly addictive and may come with potential side effects. CBD oil has shown to provide relief from pain through oral and injectable treatments. Yet again, the CBD works in the brain to help alleviate this issue. CBD will impact the receptors that are responsible for pain and inflammation, reducing both in many cases. Human studies have even been done testing the effectiveness of CBD combined with THC for pain relief related to arthritis and multiple sclerosis. While THC remains an illegal substance in many areas, the combination of the two proves far more effective for chronic conditions like this. In fact, many countries already sell an oral spray that is made of THC and CBD and has been approved for MS-related pain relief. The anti-inflammatory properties of CBD have put it in the spotlight as a potential acne treatment, as well. Although there are a number of factors that are known to cause or impact the severity of acne, CBD oil can offer support by reducing sebum production (responsible for creating acne) and reducing inflammation in the skin, according to early study results. However, most studies in this area have only been done in test tubes, and human studies are needed to determine whether or not this is a safe and effective treatment option. Many people already make the association between marijuana or marijuana-related products and cancer. It has long been a hot topic because in states where medical marijuana is legal, patients experience fewer issues with nausea, loss of appetite, and pain related to cancer and chemotherapy or radiation treatment. CBD itself retains all of the same properties without the psychoactive effects of THC, offering a solution where there wasn’t one before for many patients. CBD has been studied extensively in this area. Although more testing is needed to see what other potential benefits the oil may have in assisting with cancer-related issues, it can at least assist with alleviating many symptoms and side effects of cancer treatment. There are new studies getting underway to explore the potential benefits of CBD as a cancer-fighting or preventative agent, as well, which may give it more potential uses in the future. 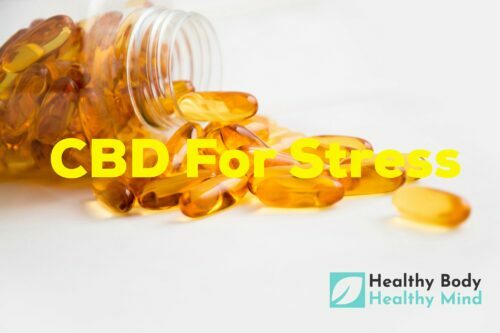 Because the modus operandi of CBD is to interact with, interrupt, or otherwise impact brain activity, there is much speculation about the benefits of this supplement for a variety of neurological conditions and symptoms. In 2018, the FDA approved the use of a specific CBD product known as Epidiolex for two rare types of epilepsy that are difficult to control or treat with other available medications. Studies are ongoing regarding the effect of CBD on other neurological conditions, psychiatric disorders, and other brain-related symptoms or injuries. Findings in a 2014 review study showed that in addition to assisting with the control of seizures, CBD can also assist with preventing neurodegeneration, preventing or repairing neuronal injuries, and more. Studies have also been done on the effects of CBD for those with Alzheimer’s or those predisposed to the condition. Early results show the potential to reduce the progression of this disease, but more research is needed. As discussed earlier, CBD works similarly to antipsychotic medications, which is making it a promising choice for schizophrenia and other mental health conditions. However, further research is needed to confirm the results of this application. The calming properties of CBD have also shown promise in supporting various areas of heart and circulatory health. Recent studies have shown that CBD can actually assist in lowering blood pressure and maintaining a healthy blood pressure, based on its anti-anxiety and stress-reducing abilities. Early animal studies have also shown that CBD can even assist with reducing inflammation and cell death that is related to heart disease. Again, however, further research with human subjects is needed to prove the effectiveness of this type of remedy. Like any supplement, not all Cannabidiol supplements are going to be created equally. Due to limited FDA regulation on the CBD product market, it is important for anyone considering CBD oil to consult a medical professional before taking anything. Although it has shown so far to be a relatively safe remedy and it is plant-derived, that doesn’t mean that anyone can just take it and hope for the best. 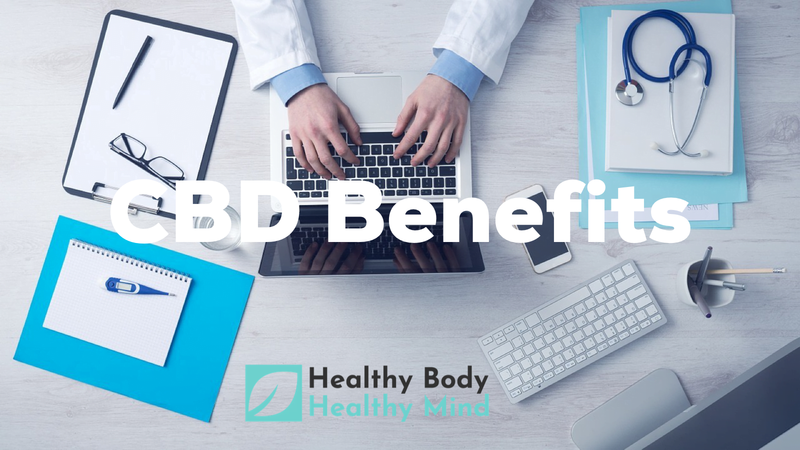 As you have seen, the list of CBD oil benefits and potential benefits is quite long. Since research is new and ongoing, it can be hard to get the information that you need on your own. Fortunately, this guide should help you better understand CBD oil, including how it works, what benefits it offers, and how you can maximize its benefits in your daily life. Remember that hemp-based CBD products are the only fully-legalized supplements on the market. There are CBD/THC combination products, which can be used legally in states with legalized marijuana (medical or otherwise), but like marijuana itself, THC and related supplements are still illegal at the federal level. Make sure that you don’t accidentally buy an illegal CBD product by doing your homework first. Now that you know more about CBD oils, it should be easy to choose the best solutions for your health needs. Keep this information in mind. It may help you get more out of CBD products than you expected. In fact, the future may prove that there are even more benefits of and uses for Cannabidiol as more studies are completed.